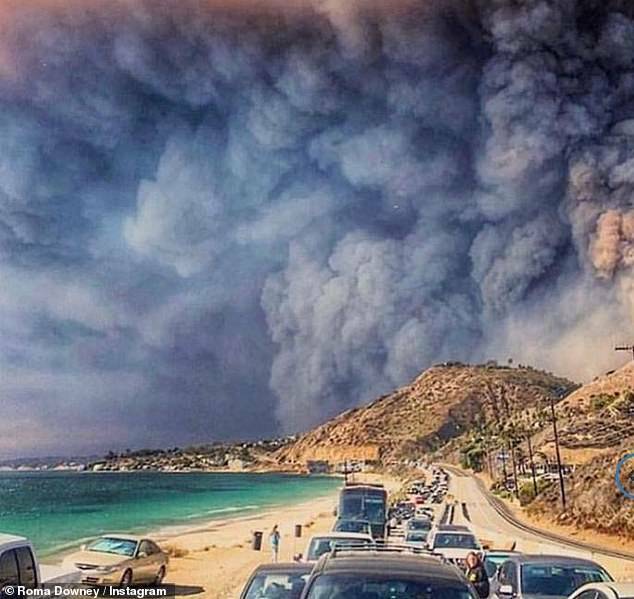 According to Reuters, the blaze has forced the authorities to issue evacuation orders for a quarter million people in Ventura and Los Angeles counties and beachside communities including the Malibu beach colony. The BBC claimed this morning that strengthening winds are threatening to spread the flames, California Governor Jerry Brown has urged President Donald Trump to declare a major disaster, a move that would harness more federal emergency funds. According to the Daily Mail, California was last night bracing itself for more devastation as ‘devil winds’ were predicted to fan the flames of the fires which have ripped through the state and claimed at least 25 lives. Weather forecasters warned residents to expect ‘nothing but bad news’ as the most destructive fires in the state’s history continued to rage across almost 400 square miles in tinder-dry areas. CBS Bay Area reported, suspected looters hoping to profit from the devastating losses from the Camp Fire were arrested in the town of Paradise Saturday. Police arrested men who they say may have been trying to impersonate Forest Service personnel to gain access to the area. Authorities said there have been 53 reports of suspected looting in the fire zone.